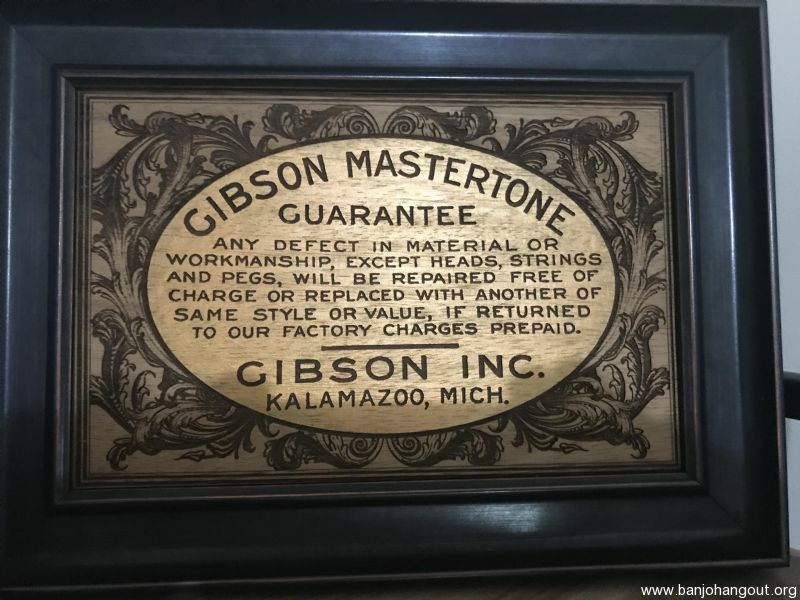 Engraved into wood, Prewar Gibson Mastertone Label, in custom black wood frame. 14” long X 10” high. This ad will automatically expire 5/25/2019 6:20:49 PM unless updated before that date. To keep the system current, ads expire if not updated for more than 60 days.